WOLVERHAMPTON skipper Freddie Lindgren described his team's 57-36 win at Leicester as an unbelievable effort. 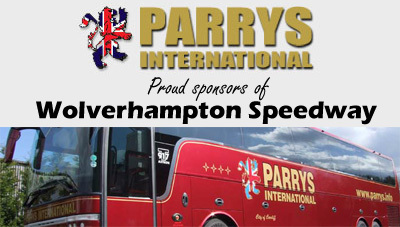 Five of the Parrys International Wolves squad achieved paid double figures in another dominant display from the reigning Champions, which saw them win 13 of the 15 heats. 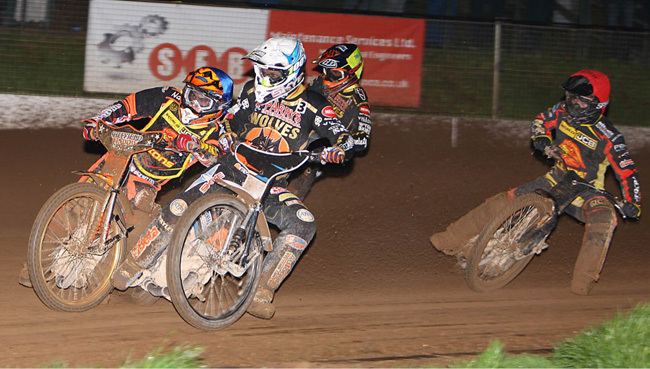 Recent reserve recruit Mark Riss enjoyed his best performance in Wolves colours as he secured two race wins on his way to 9+1. Aussie ace Sam Masters started his night off with a win before combining for two 5-1s to help the Wolves seal the victory. Rory Schlein and Jacob Thorssell continued their deadly partnership at No. 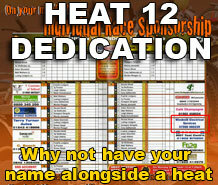 3 and 4 as they recorded a hat-trick of maximum heat advantages in all three of their outings together. Schlein rounded his night off with back-to-back race wins while Thorssell completed his four ride maximum with a stunning third to first ride in the penultimate race. Current World No.1 Lindgren, high on confidence from his Grand Prix success in Poland over the weekend, reeled off four comfortable race wins as he went unbeaten by an opposition rider for a fifth consecutive fixture. Lindgren praised another incredible all-round display and says he is proud to be captain of such a strong side. "To win away from home so comfortably is always brilliant but it really was an awesome performance from the whole team tonight," said Lindgren. "While Kyle (Howarth) and Nathan (Greaves) might not have got the points they wanted, they gave it maximum effort in every race and they're still over the moon with the win for the team. "Quick gating and smart first and second turns were where we won this meeting so impressively tonight and it was just another unbelievable effort from all of the team. "It's another four huge points for us to add onto our total at the top of the table and we can't ask for much more right now." 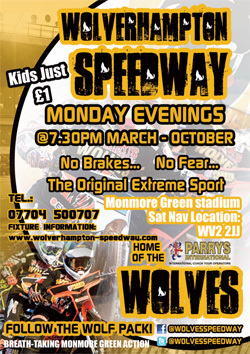 The Parrys International Wolves can make it seven straight wins in the league when they host Swindon at Monmore Green next Monday (May 22, 7.30). 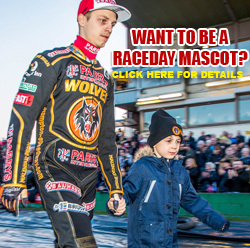 LEICESTER 36: Erik Riss 8, Kim Nilsson 7+1, Josh Bates 5+2, Jason Garrity 5, Lasse Bjerre 4, Danny King 4, Danny Ayres 3+3. WOLVERHAMPTON 57: Rory Schlein 12+3, Freddie Lindgren 12, Jacob Thorssell 12, Sam Masters 10+2, Mark Riss 9+1, Kyle Howarth 2+1, Nathan Greaves 0.